Offering you a complete choice of products which include lemon quartz gemstone, african amethyst, amazonite stone, druzy quartz stone, emerald and ethiopian opal. 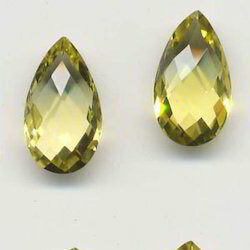 With years of experience in the industry, we are offering an excellent range of Lemon Quartz Gemstone. The provided quartz gemstone is precisely finished & processed at our manufacturing unit using best techniques as per the set guidelines of market. We offer this quartz gemstone in numerous sizes & customized cutting options according to the demand of customers. This quartz gemstone is packed using qualitative packaging material from our side so as to ensure their safe transportation. Looking for Lemon Quartz ?